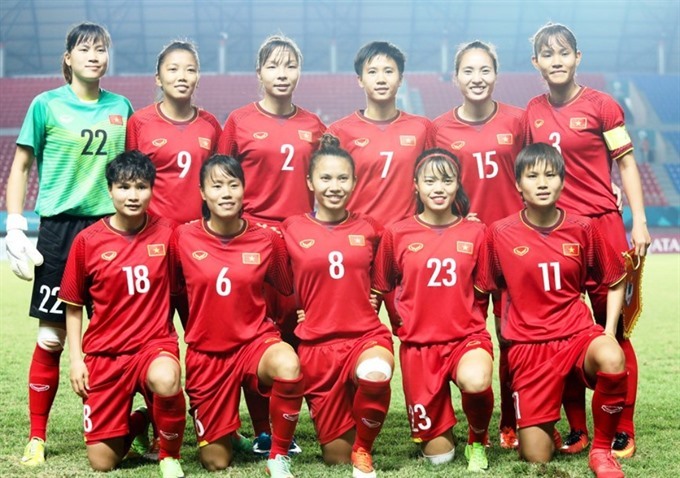 The Việt Nam women’s national football team have jumped one place from 37th to 36th in FIFA’s third quarter world rankings with a grand total of 1,638 points. The rise is attributable to the team’s achievements at the Asian Games (ASIAD) in Indonesia in August, where the team reached the quarter finals. Việt Nam are currently ranked 7th in Asia, just behind Thailand who are 28th in the world. In Asia, usually dominant Japan surprisingly dropped to second with Australia taking the top spot. In the overall world rankings, the US remained first with Germany second and Britain taking third. On the men’s side, Việt Nam continued to top Southeast Asia in October. The team maintained their 102nd position in the world with 1,220 points. The Philippines are in the second in the region at number 116. Thailand, ranked 121st, are third. In Asia, Iran took the top spot with 1,478 points (30th in the world), with Australia second, Japan third and South Korea fourth.